five-man trade from Atlanta that included J.D. Drew. Adam Wainwright has quickly become one of St. Louis’ most reliable starting pitchers. The 10-year pro is currently tied for second in the majors with 11 wins and has a team-leading 130 strikeouts. 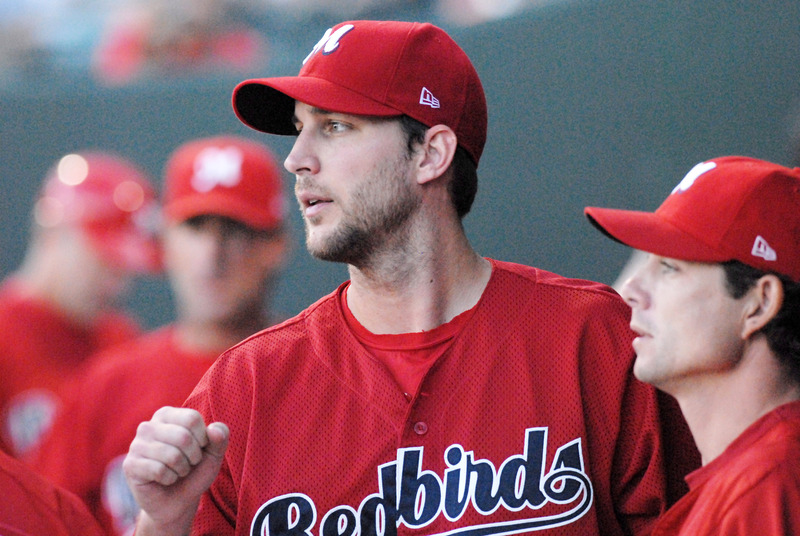 To think just four years ago Wainwright was twirling strikeouts for the Redbirds at AutoZone Park.After being traded from the Braves into the Cardinals system in late ’03, Wainwright began his 2004 campaign by making his Triple-A debut with the Redbirds. Elbow discomfort ended his summer in Memphis early and the right-hander didn’t pitch again until the Arizona Fall League. 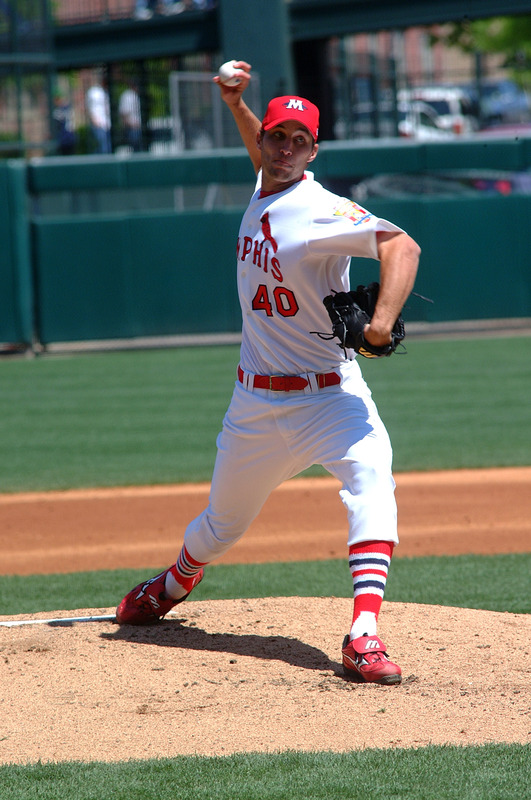 Wainwright returned healthy to post big numbers in 2005, setting a Redbirds individual season record of 29 starts, which also led the PCL. He made his major league debut later that year on September 11 against the Yankees. In 43 starts, Wainwright is 14-15 as a Redbird with a 4.76 ERA (132ERx249.1IP) and 214 strikeouts. Wainwright started 2006 with the Cardinals and has been a regular ever since, dropping down to the minors only once in 2008 for injury rehabilitation. Though he is currently in the five-man rotation, Wainwright was used as a reliever in his unforgettable rookie season. In the St. Louis Cardinals run through the postseason, Wainwright delivered the final out for all three series wins, including the final pitch in the World Series: fanning Detroit’s Brandon Inge in Game 5 to clinch St. Louis’ 10th World Championship. Wainwright’s shining career in St. Louis gives us more than enough reasons to include the former ‘Bird in 2009’s All AutoZone Park bobblehead series. 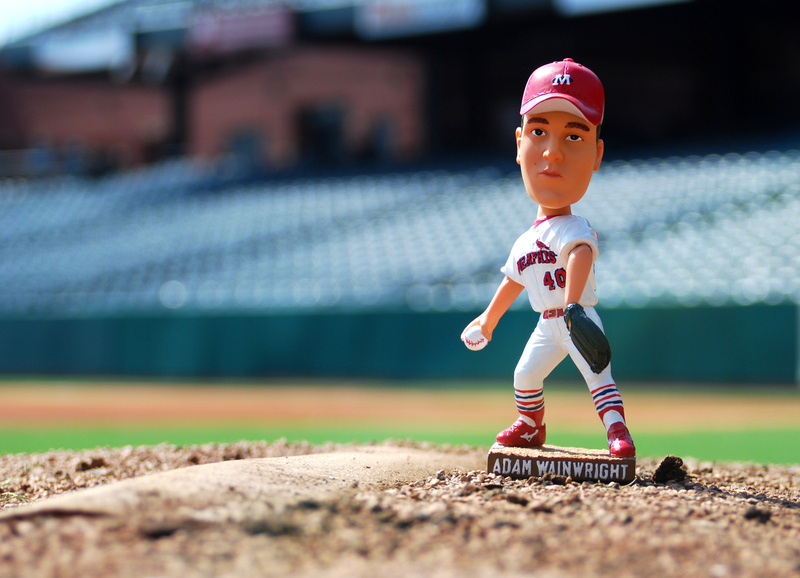 The Adam Wainwright bobblehead will be given away to the first 1,500 fans to arrive at Tuesday night’s home game against the Round Rock Express. Gates for the game open at 6:00 P.M.